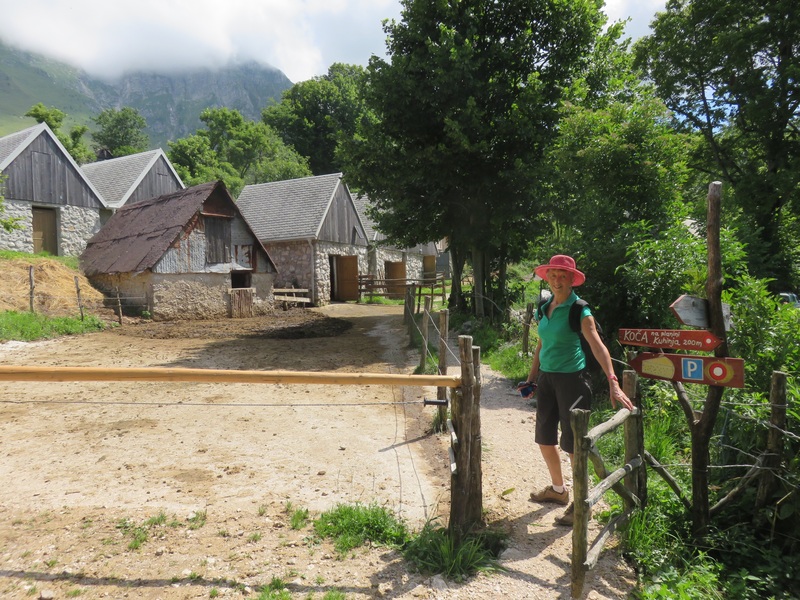 Did you know there are over 50 alpine dairies dotted all over the Julian Alps in Slovenia? Most of these are over 1000 metres from sea level and daily produce milk, butter, cheese and yoghurt. 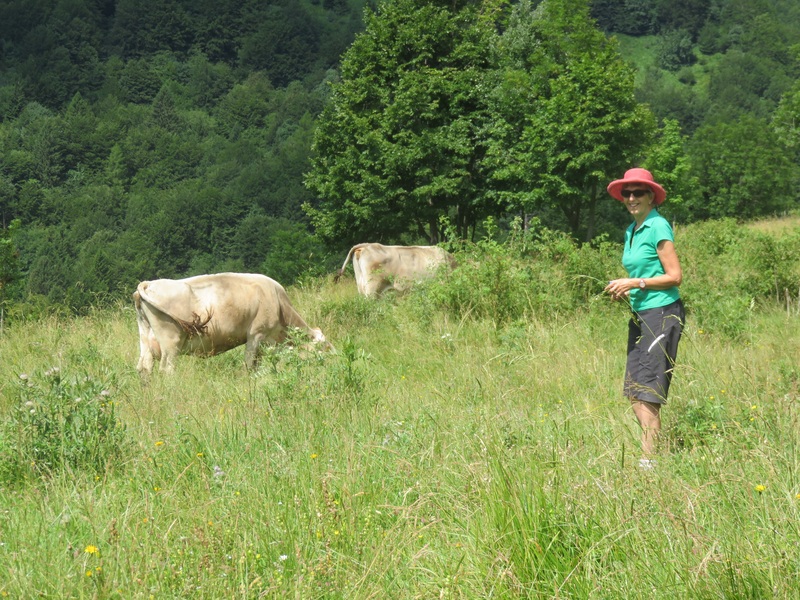 Nothing beats walking through the summer alpine pastures, with their profusion of wildflowers, hearing the tinkling of cow bells as the cattle graze, looking for one of these dairies. Krn, a village which perches near Mt. 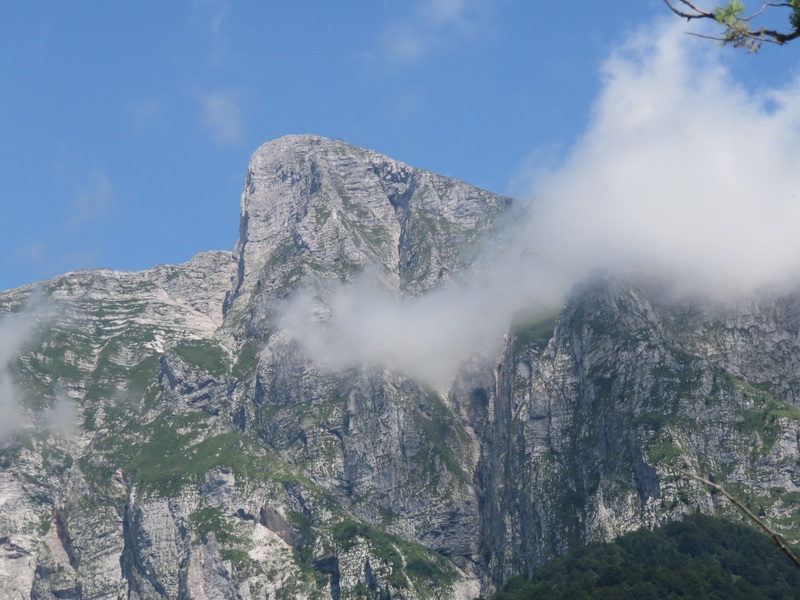 Krn, a great hooked-nose peak at 2244 metres, towering over the township of Kobarid. 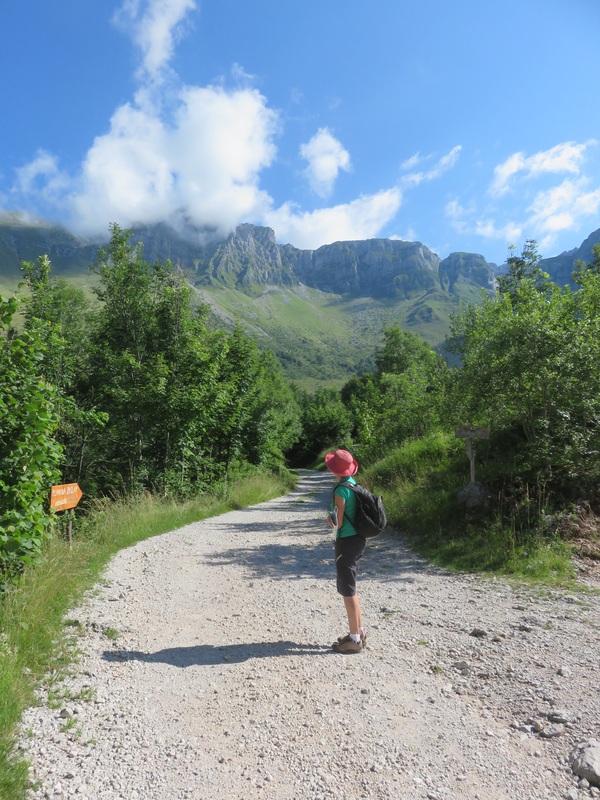 Having parked above Krn, we set off up the rough track to the Planikas or dairies – Kuhinj, Slapnik and Zaslap, at 1360 metres. During the summer, these alpine dairies process the daily milk from their cows on site. 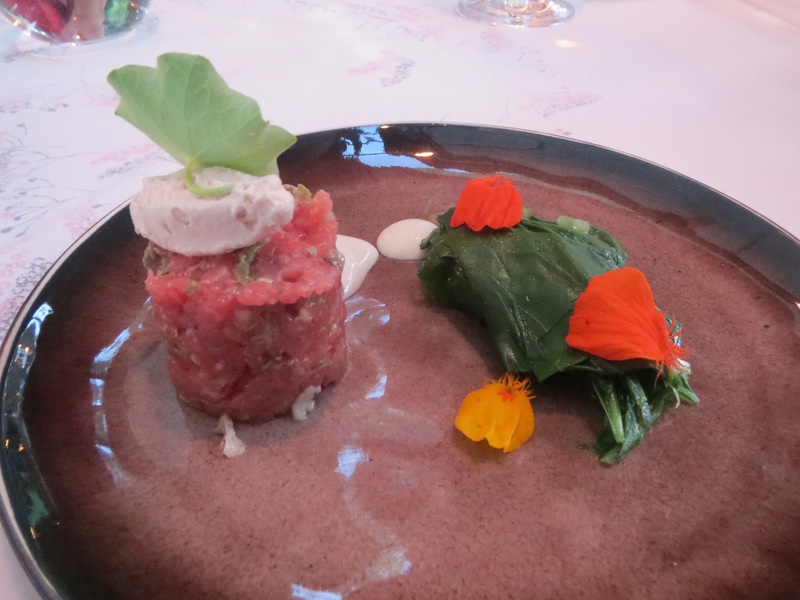 The cows graze on the alpine meadows and the milk and cheese are infused with the aroma of the flowers. Although it was cool when we started off and we were walking above 1000 metres, it was still quite hot. We passed hikers doing the Alpe-Adriatic Trail and amazingly, very fit cyclists who had ridden up from the villages below! The mountain range towered above us, with clouds just beginning to appear by late morning. looked similar to ones from a hundred years ago, which we had seen in the cheese museum. Milko was decked in white rubber boots and was working with an electrician, trying to repair one of the temperature gauges. 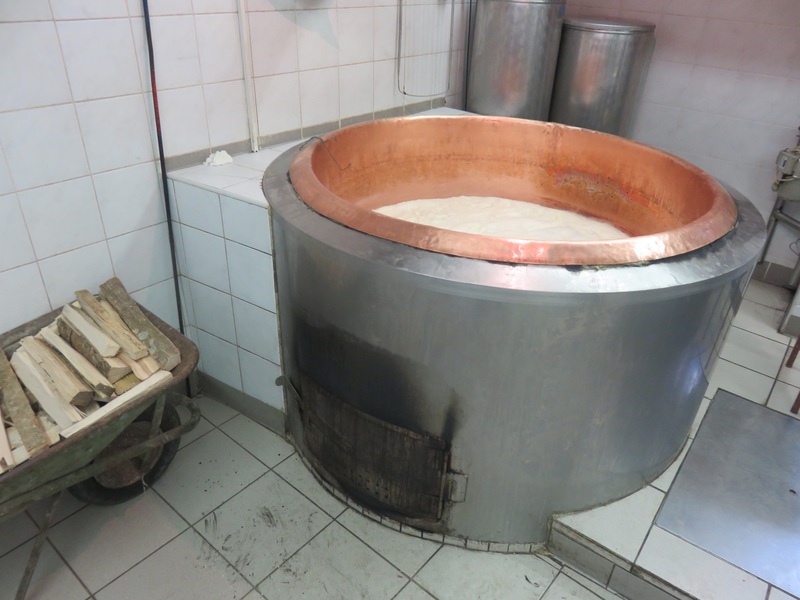 Nearby was a huge copper vat cooking up the day’s ricotta cheese. He showed us the muslin bags with the curds from the previous day, leaking out their whey and miraculously opened one up for us to try! 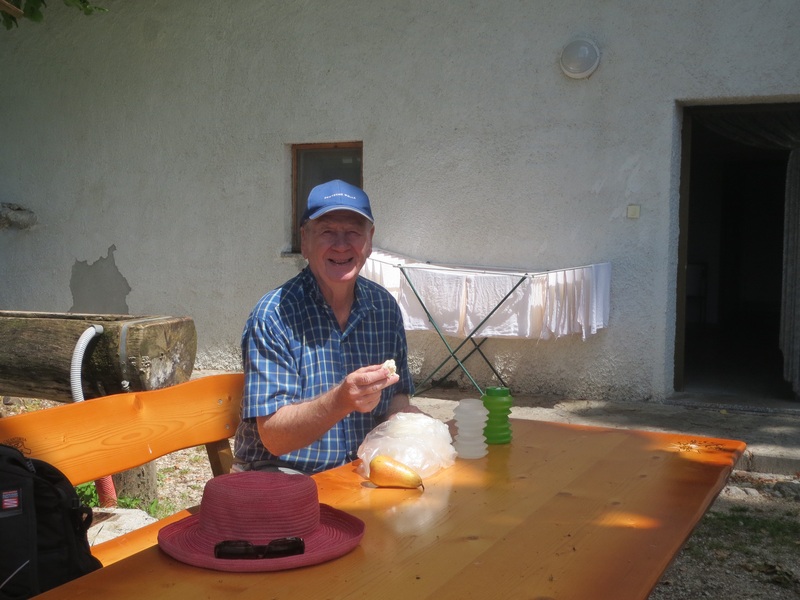 Added to this were the Emmentaler cheeses, which had been maturing from 1-3 months and again, he took one out, the rind covered in mould, which he proceeded to scrub off, and when clean, cut open for us to try a slice! Of course we had to buy some – and we were hungry from our walk – so as we were sitting eating some of yesterday’s ricotta, Milko brought out some hot, fresh ricotta from the day’s batch. It was absolutely delicious when eaten with the fresh pear we had brought and washed down with cold, clear mountain water. We were told the milk is pasteurised but not homogenised and has a particularly high albumin content, which is transferred to the cheese. 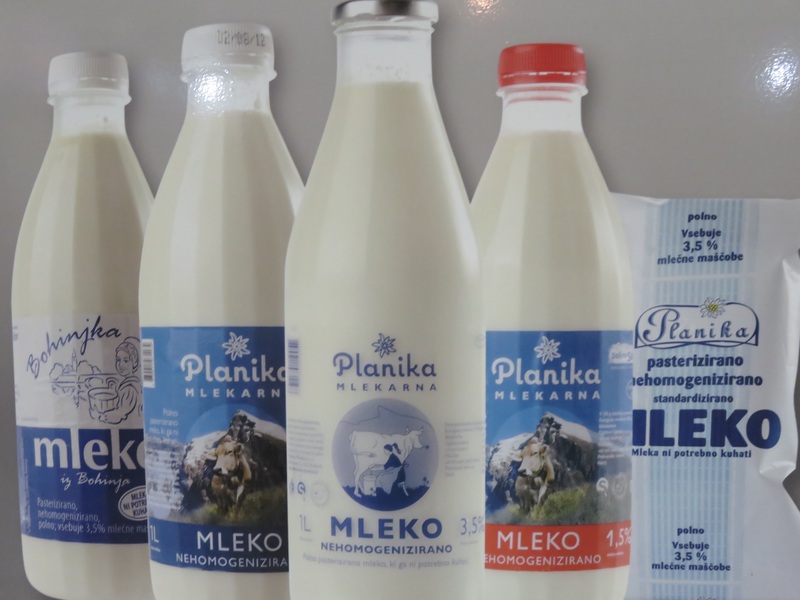 Down in the Planika Factory in Kobarid, milk from dairies along the Soca river and also from the Lake Bohinj area is processed. 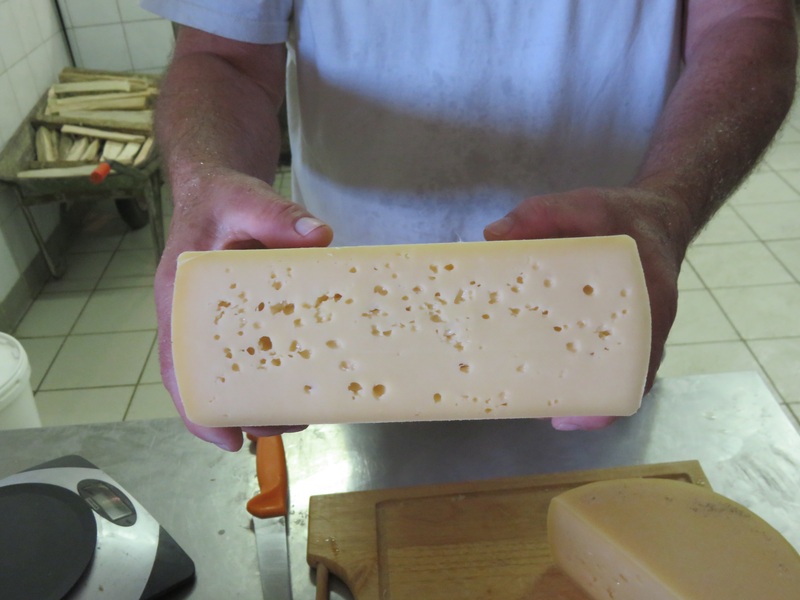 We visited the Planika Museum, where the history of Slovenian cheese making is described. Significantly, in the late 1880’s, a Swiss cheese maker arrived to train the local Slovenians dairy folk and introduced quality controls, particularly around hygiene. These controls are retained today and each cheese maker must undertake ongoing training. Kobarid now prides itself on it’s cuisine, so we have tried a number of high class restaurants in the area, culminating in a night at Hisa Sonka, a country villa just 3km down the road, where we ate local trout, duck and specially filled pastas, with the taste of peach, elderflower and apple topped up with wine from the Goriska Brda.